Thank you for the opportunity to serve you! Ryan Seamless Gutter Systems, Inc. was established in 1979, and our goal has always been to provide you with the best quality products, prices and service available. We work hard to serve you and welcome and appreciate your comments and suggestions. We started with the concept of providing an on-site seamless gutter service with 1 truck. We have grown to a fleet of 12 trucks, all radio dispatched and fully stocked to provide you with timely deliveries. As we've grown with your help, we've added additional quality products to serve your needs. One product we're especially proud of is our Simonton vinyl windows. It is considered the best window in the industry; competitively priced and available to you with a 7 day lead time. Please browse through our most comprehensive catalog to date. We believe it will be beneficial in planning your jobs. If you need any samples or additional literature, please call us. Our goal is to keep you happy through service! We look forward to your continued business. 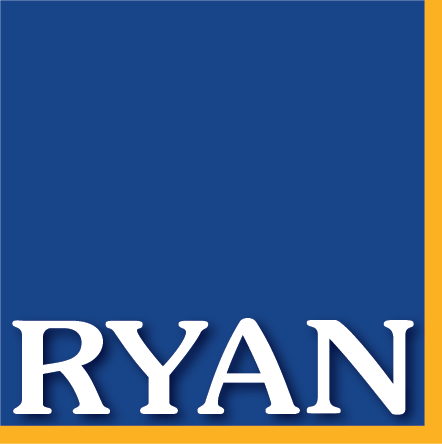 Ryan Building Products Ryan Seamless Gutter Systems, Inc. "Serving The Trade"